Longtime men's gymnastics coach Fred Turoff watches sophomore Casey Polizzotto practice on the rings in McGonigle Hall on Jan. 26. Rik Gendron feeds birds at the waterfront in Ossining, New York. Protestors took to the streets of Manhattan, resulting in those on public transportation being stuck in traffic for hours. President Barack Obama waves to prospective voters at a rally for Tom Wolf at the Liacouras Center on Nov. 2. A student enrolled in Museum Studies: Curating Authenticity takes notes while exploring the Wagner Museum. Bill Muray hangs a piece a part of "And the Word Is..." exhibit at Gershman Y. 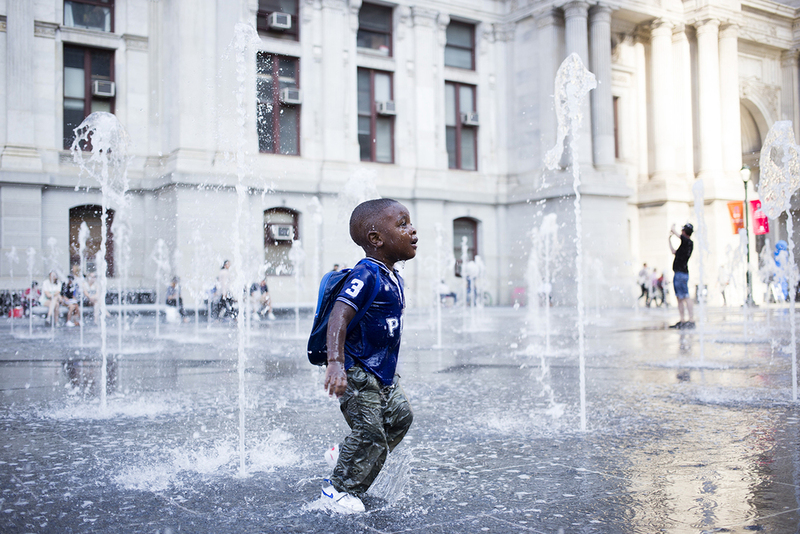 A young boy plays in a recycled-rainwater fountain at the newly unveiled Dilworth Park, which officially opened to the public on Sept. 4. 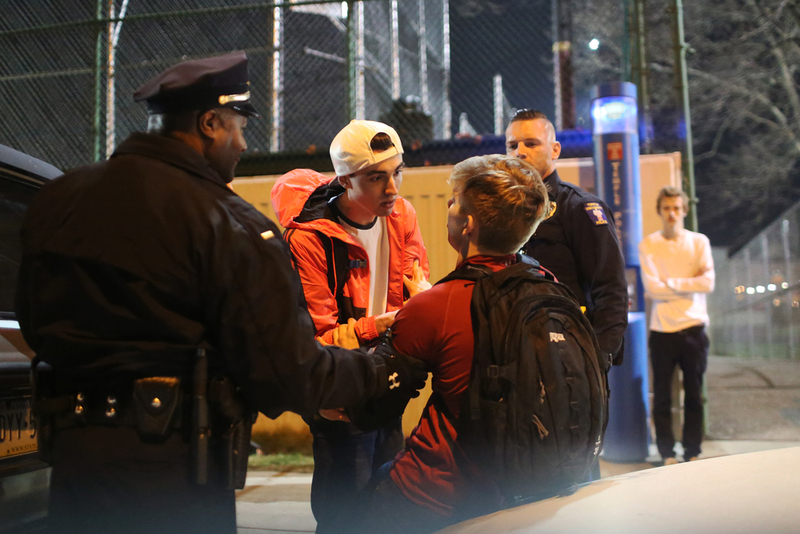 Students and musicians gather Nov. 9 on the rootop of a building on Diamond and Carlisle streets for a music festival. Temple men's crew practices on the Schuylkill River.